My thanks to Anne-Marie Finn at The Borgo Post, the Newsletter of the Canadian Chapter, Transylvanian Society of Dracula, for allowing me to reproduce this interview on my website. 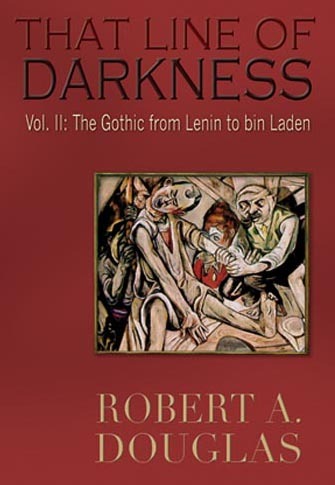 Bob, I know you have interests in both history and the Gothic, but was there anything specific that inspired you to write Volume I? When I was exploring the social responses to evolution, or to be more precise, devolution in Victorian England, I noted there was a plethora of academic and popular press material but little in naturalistic literature, apart from the highly contentious Jude the Obscure by Thomas Hardy. Rather it was the Gothic fiction—a genre that examined the transgression of boundaries—that did speak to the issues that I was interested in: criminality, the dangerous foreigner, anti-Semitism, fear of the underclass, manliness, the changing role of women, miscegenation. But Gothic writers escaped public censure because they displaced these anxieties, their fiction not being “realistic.” For example, Stoker addressed several of these fears in Dracula; it could be read as an exploration of eugenics and the fear that British women would be tainted by foreign blood. What made you decide to continue along with Volume II, or had you always planned it that way? 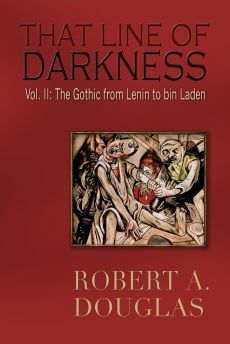 Initially, I conceived of a single volume in which the Gothic conventions—demonization of the other, blood purity, the fear of the past leeching into the present, the uncanny, the doppelganger—that were examined in the book’s first three parts, could be applied to the Great War, the Soviet Union and Nazi Germany, but when I ventured into America from the Cold War to the present, a second volume was necessary. 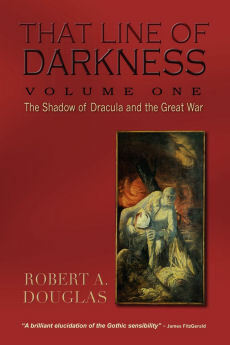 Volume I ends not with the legacy of the Great War but with a coda on the current popular appeal of the Gothic in fiction, television and film. Volume Two was to have a greater historical grounding than the first volume. Is there a message in your new book that you want readers to grasp? The most important message that I want readers to take away from Volume II is that history can be read through an illuminating angle—a Gothic lens. The Gothic conventions noted above can be applied to the historical experience not just to fiction, art and film. Besides learning how difficult it is to write a major work, I discovered enjoyment in writing, playing with ideas, phrasing and language. As a former teacher, the articulation of ideas is essential to the craft, but in writing it is necessary to be more precise; editing and re-editing became much more important. I also learned in this long process that took over fourteen years, a lonely process that involved reading and writing about often very disturbing material about man’s inhumanity to man, that could be dark and wrenching, the importance of a rich and lighter personal life as a balance. 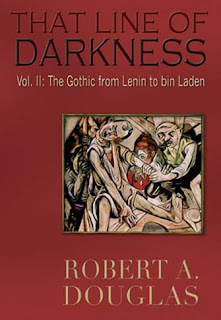 I am working on expanding blogs at my website (www.thatlineofdarkness.com) with reflections on new material that has emerged since the two volumes were published and by providing short selections from the original manuscripts of both volumes that did not survive, largely for reasons of space, the final editing process. I am also writing reviews for the online site Critics at Large, (www.criticsatlarge.ca) some of which, when relevant, appear on my blog. Of course, I am always trying to promote the books. Tell us about the book signing. The signing was both gratifying and instructive. Among the sales were two individuals that I have not seen for many years, and a couple who were travelling companions last summer, who drove from Bellevue to purchase a copy. People who knew nothing about the books did pause at the desk to ask about them. Each conversation was different and as I spoke about the books, I gave them my card which directed them to my website where they have had an opportunity to learn more about them. What I learned from this experience is to seize upon every opportunity and venue to inform people about the merits of these books that can enrich their lives. Is there anything else in particular you wanted to tell us about That Line of Darkness Vol. II? Some readers may be surprised or even object that I decided to include America in a book that devotes so much attention to two totalitarian states. I attempt in my preface and introduction to point out substantial differences, but because I focus on the destructive power of ideologies in the first two parts of Volume II, it is my considered opinion that any ideology that puts faith above evidence, my country above all others, is in jeopardy of condoning certain practices that Americans would find repugnant if they were committed by other countries. Following the evidence, I did uncover certain continuities between the behaviour of police states and a relatively open democratic state at a time when fear overrides reason and healthy scepticism. Furthermore, all the case studies in this book deal with flawed human beings, who under certain circumstances were capable of engaging in the brutal treatment of others whom they considered less than human.